A Kenya classic safari touring Masai Mara , Lakes Nakuru / Naivasha , Amboseli , Tsavo West & Tsavo East national parks. Tour departs Nairobi and visits exciting class A category Kenya national parks and game reserves. On the tour you shall visit the tree studded plains of the great Masai Mara game reserve, Lake Nakuru national park with its famous flamingoes & Rhino sanctuary, Amboseli at the shadows of Mount Kilimanjaro and the scenic hills and valleys of the Tsavo west. The 9 days safari is a diverse representation of entire Kenya. Tour is offered with a selection of economy, standard or luxury safari lodges or tented camps accommodation depending on your budget / style. Transport is either in an open top safari tour minivan or 4 x 4 Land cruiser jeep. Proceed to the Masai Mara game reserve. The drive to the Mara is via Kenya urban and rural settings that contrast dramatically as you progress towards the Great Rift Valley escarpment. Most of the drive to Masai Mara Game reserve shall be at the floors of the great rift valley and through Masai country. Later depart the for the lake Nakuru national park. On the route to Lake Nakuru National Park there shall be stops on scenic points . Afternoon bird and game viewing drives around the Lake Nakuru. An opportunity to visit the rhino sanctuary. 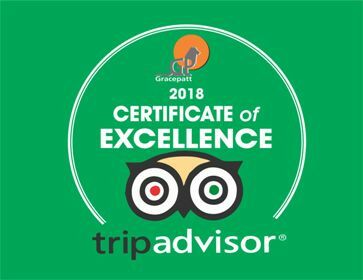 Overnight at your lake Nakuru safari lodge / tented camp. What you may see at Lake Nakuru national park ……. Flamingo ( Greater and Lesser ), White Rhino, Black Rhino, Waterbucks, unique vegetation about 550 species waterfalls: Makalia. Day 4: Lake Nakuru National Park – Lake Naivasha . Early afternoon shall be spent enjoying a boat ride where we spot small game in idyllic settings. Optional visit to Hells gate national park where you ride and trek as you watch small game. Overnight at a Lake Naivasha resort. Meal Plan: Breakfast, Lunch , Dinner. A long and easy drive to the Amboseli awaits you today. There shall be stops to view the great rift valley along the Naivasha – Nairobi highway. Day 6: Amboseli National Park. Early pre-breakfast game viewing drive at the Amboseli national park. Weather permitting the clouds will shear off, leaving you mesmerized by the majesty of the Kilimanjaro and its gleaming snow capped peaks. Today shall be spent exploring the Amboseli National park on unlimited game viewing drives. Overnight shall be at your safari lodge/ tented camp. Short morning game viewing drive is scheduled at the Amboseli this morning. The park is open and relatively small. Game viewing drives are concentrated and wildlife easy to spot. Mount Kilimanjaro mass provides wonderful back ground for photographic moments. Later the safari tour proceeds to Tsavo West National Park. Tsavo West is hilly and scraggy with scenic terrain and wonderful game viewing back grounds. Overnight shall be at your Tsavo west safari lodge or tented camp. Game viewing drives at the Tsavo West with a stop at the Mzima springs . Later proceed to Tsavo east national park with game spotting and scenery viewing en – route. Game viewing drives at the open savanna plains of the Tsavo. Overnight shall be at your Tsavo east safari lodge or tented camp. 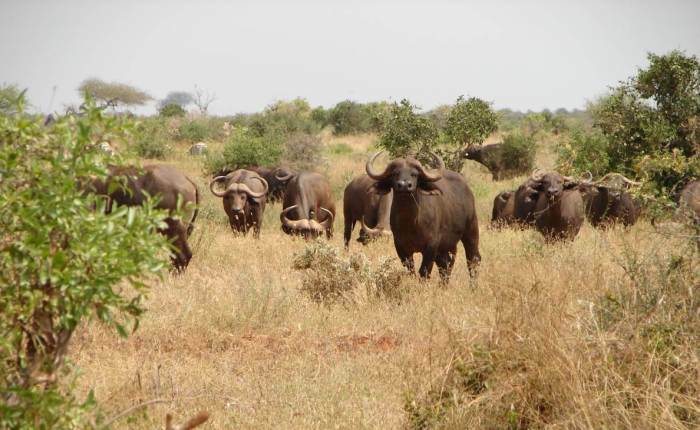 What you may see at Tsavo East national park ……… Vast herds of dust-red elephant, Black Rhino, Buffalo, Lion, Leopard, pods of hippo, Waterbucks, Lesser kudu, Gerenuk and Hirola. Early morning game viewing drives at the Tsavo East national park. Later return to Nairobi . Drop off at Nairobi airport or Nairobi hotel. You can also proceed to the Kenya coast beach resorts of Mombasa,Watamu,Diani,Bamburi etc.